I got a great email from a fellow named Josh Long the other day. He is, in his words, "relatively new to web design" and was a bit stuck on the concept of getting a site live. I should say that I'm happy to get emails like this an I always read them, but I typically can't offer tech support over email. If I can respond at all, I normally point people to other community resources. In this case, it struck me what a perfect moment this is for Josh. He's a little confused, but he knows enough to be asking a lot of questions and sorting through all this stuff. I figured this was a wonderful opportunity to dig into his questions, hopefully helping him and just maybe helping others in a similar situation. We worked together a bit to refine many of his questions for this post, but they are still Josh's words. Here we go! What is a Domain Registrar? I get they are for registering domain names, but what’s the difference between them? How do you know which one is right for you? A quick search for "best domain hosts" on Google gave me 5 ads for companies who are domain registrars/hosts and 9 "Top 10" style pages that look as though they have some sort of affiliation with at least one company they're suggesting. Am I just looking for the cheapest one? You're exactly right, domain registrants are for registering domain names. 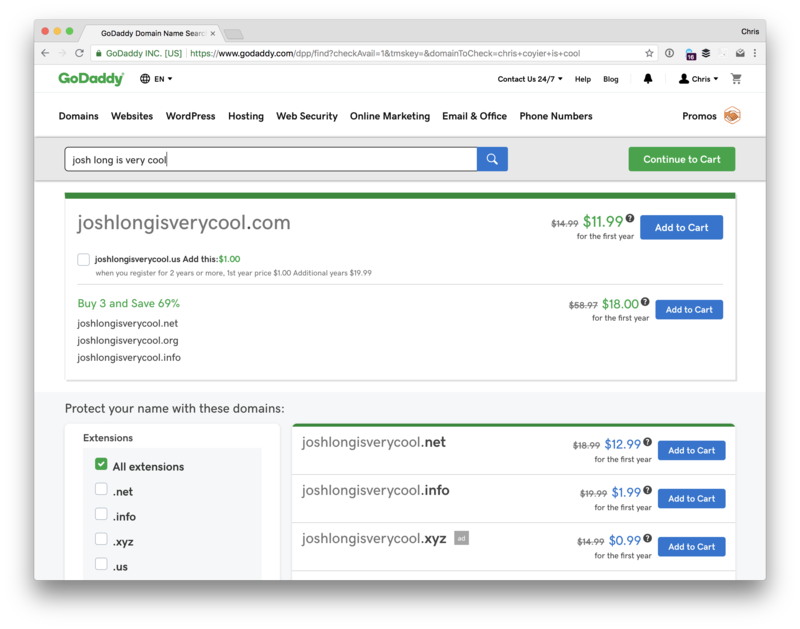 If you want joshlongisverycool.com, you're going to have to buy it, and domain registrants are companies that help you do that. It's a bummer that web search results are so saturated by ads and affiliate-link-saturated SEO-jacked pages. You'll never get total honesty from that because those pages are full of links promoting whoever will pay them the most to send new customers. Heck, even Google themselves will sell you a domain name. The truth is that you can't go too wrong here. Domain names are a bit of a commodity and the hundreds of companies that will sell you one largely compete on marketing. Some companies treat the domain as a loss leader. Like a grocery store selling cheap milk to hope you buy some more stuff while you are there. The check out process at any domain registrant will almost certainly try to sell you a bunch of extra stuff. For example, they might try to sell you additional domain names or email hosting you probably don't need. Just be careful. Web hosts (which we're getting to next) will often sell them to you along with hosting. That's fine I suppose, but I consider it a bit of a conflict of interest. Say you choose to move hosts one day. That hosting company is incentivized in the wrong direction to make that easy for you. If the domain is handled elsewhere, that domain registrant is incentivized the right direction to help you make changes. I might suggest, if you can see yourself owning several domain names in your life, keeping them consolidated to a single registrant. Managing domains isn't something you'll do very often, so it's easy to lose track of what domains you registered on what registrant, not to mention how/where to change all the settings across different registrants. I'd also suggest it's OK to experiment here. That's how all of us have learned. Pick one with a UI that you don't hate and a trustable vibe. Maybe your friend also uses that one. Hopefully, it works out fine. If you hate it, it'll be a little work, but you can always switch. What is a web host and why do I need one? A Google search throws you a mountain of "best web host" articles and ads. These websites all seem to be full of jargon like "shared hosting" and "managed hosting." I see things like "suggested hosts" on some sites. How do you find the right web host? I'm not even sure what my needs are. Should I just find the cheapest one? A "coming soon" page you might see immediately after buying a domain name. To host a website at your new domain, you'll need to configure the DNS of your new domain to point at a server connected to the internet. Here's an interesting tidbit... you could do this right from your house if you wanted to. Your Internet Service Provider (ISP) at home probably gives you an IP address. It's all a bit nerdy, but you could point your domain name at that IP and set up your computer to be a web server that responds to incoming requests and serves up your website. Almost nobody does that though. You don't want your web server to stop working because you closed your laptop or your ISP changed your IP. Buying web hosting is a little trickier than buying a domain though. You'll need to know a little bit about the website you intend to host when making that choice. Will it be a WordPress site? Or another PHP/MySQL-based CMS site (we'll get to those later)? That means your host will need to support those technologies. Most do, some don't. You might wanna look in their documentation or literally ask them before pulling the trigger if you are unsure. There are lots of technologies for running websites. Say the site will use Ruby on Rails — that's a different set of requirements that not all hosts offer. Or Node... Or Python... same story. Now here some other web hosts that are a little less traditional. Forgive the techy terms here — if they don't mean anything to you, just ignore them. Again, I'd say it's OK to, in a sense, make some mistakes here. If you aren't hosting something particularly mission-critical, like your personal website, pick a host that seems to fit the bill and give it a go. Hopefully, it works out great — if not, you can move. Moving isn't always super fun, but everybody ends up doing it, and you'll learn as you go. When you buy web hosting, that host is going to tell you how to use it. 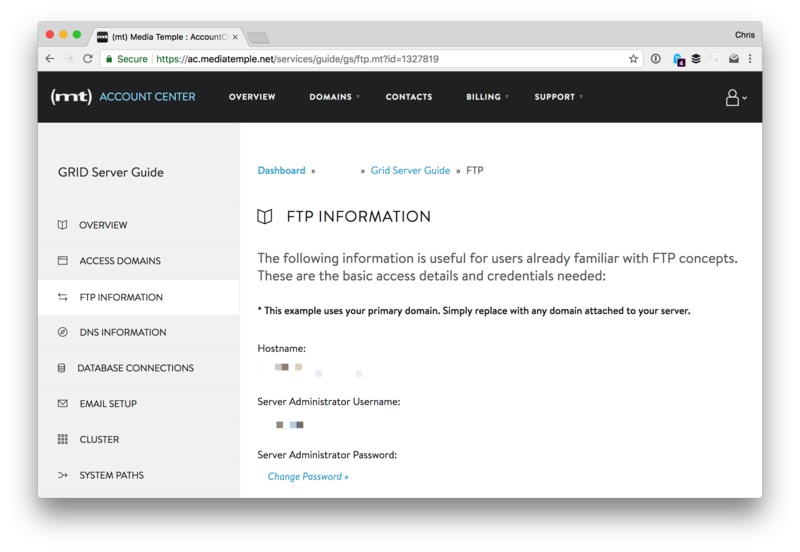 One common way is that the host will give you SFTP credentials. Then you'll use software that is built for connecting to servers over SFTP, and that will allow you to upload files to the web server. Say you've been working on a file that is a single index.html file, that loads a style.css file. Upload those files over SFTP into the folder your host tells you is correct public root directory for that site. That is the process for taking a site from local to live! There is nothing wrong with it, either. This is referred to as deployment, and this is about as basic and simple as it gets. Even fancier ways of doing deployment sometimes ultimately do just this behind the scenes. We'll get more into deployment later. I mentioned this above a little: I'm a fan of not doing that in general. On one hand, it's mighty handy. Things like shared billing and a single checkout flow. The host will also do things like configuring the DNS for you to be all set up for their hosting and you probably don't even have to think about it. But say the day comes where you just don't like that host anymore. You've found a better deal, outgrown them, were turned off by their support or service, or any other reason. You want to move hosts. The problem is that they aren't just your host, but your domain registrant, too. Do you leave the domain with them and just move hosts? Probably not, you're trying to leave them. Now you need to move two things. That makes that move all the more perilous, but worse, this company isn't exactly incentivized to respond quickly and helpfully to your requests since they know they're losing you as a customer. What really is a "CMS"? What's its purpose? WordPress, Joomla, and Drupal are the most popular names I’ve found for content management systems, and from their descriptions, all sound very similar. What are the kinds of features that set one apart from another? Is a CMS all you need to get your website from your local computer to the public internet? CMS (Content Management System) is a pretty generic term. It means literally anything that helps you manage content. There are, as you've seen, some big players like WordPress and CraftCMS. They don't really have anything directly to do with that connection between working locally on a site and getting that site live. But they do rather complicate it. The reason that you'd use a CMS at all is to make working on your site easier. Consider this site you're looking at right now. There are tens of thousands of pages on this site. It would be untenable for each of them to be a hand-authored file.html file. That'll get you up and running locally with your CMS. That's a beautiful thing. Having a good local development environment for your site is crucial. But it doesn't help you get that site live. We'll go over getting all this to a live site a bit later, but you should know this: the web server that you run will need to run these same technologies. Looking at the WordPress example from above, your web server will also need to run PHP, MySQL, and Apache. Then you'll need to set up a system for getting all your files from your local computer to your web server like you would for any other site, but also probably have a system for dealing with the database. The database is a bit tricky as it's not a "flat file" like most of the rest of your site. What is "Asset Hosting"? Are assets not content? What is the difference between a CMS and an asset hosting service? What does an asset host do? And before we get any further: you probably don't need to worry about this right away. Your web host can host assets and that's plenty fine for your early days on small sites. One major reason people go with an asset host (probably more commonly referred to as a CDN or Content Delivery Network) is for a speed boost. Asset hosts are also servers, just like your web host's web server, but they are designed for hosting those flat file assets super fast. So, not only do those assets get delivered to people looking at your site super fast, but your web server is relieved of that burden. You could even think of something like YouTube as an asset host. That 100 MB video of a butterfly in your garden is a heavy load for your little web server, and potentially a problem if your outgoing bandwidth is capped like it often is. Uploading that video to YouTube puts your video into that whole social universe, but a big reason to do it other than the social stuff is that it's hosting that video asset for you. I’ve heard of "repositories", but don’t really get what they are. I hear stuff like "just upload it to my Git Repository." What the heck does that mean? I feel like a moron for asking this. What is Git? What is it for? Do I need to use it? Is it involved in the "local to live" process at all? Sorry you got hit with a "just" there. There is an epidemic in technology conversations where people slip that in to make it seem like what they are about to say is easy and obvious when it could be neither depending on who is reading. But let's get into talking about Git repositories. Git is a specific form of version control. There are others, but Git is so dominant in the web industry that it's hardly worth mentioning any others. Let's say you and me are working on a website together. We've purchased a domain and hosting and gotten the site live. We've shared the SFTP credentials so we both have access to change the files on the live site. This could be quite dangerous! 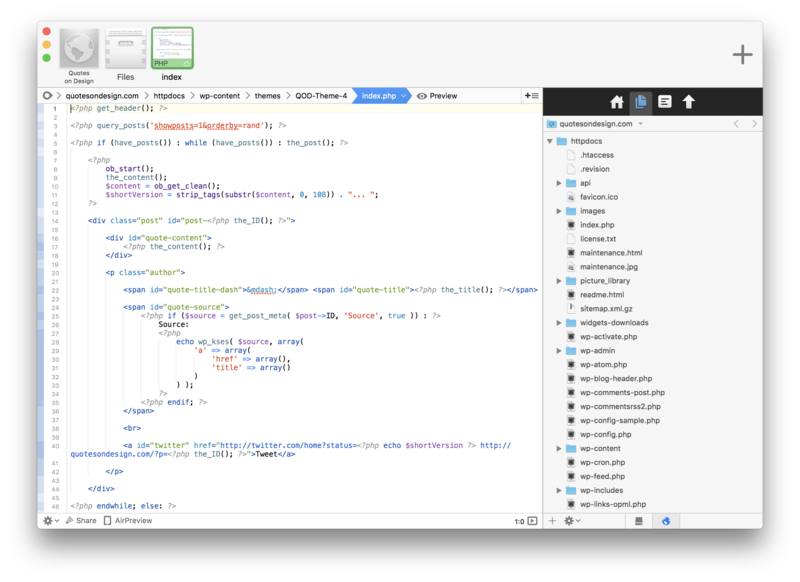 Coda is a code editor that let's you edit files directly on a sever you've connected to over SFTP. Cool, but dangerous! Say we both edit a file and upload it over SFTP... which change wins? It's whoever uploaded their file last. We have no idea who has done what. We're over-writing each other and have no way of staying in sync with each other's changes, changes immediately affect the live site which could break things and we have no way of undoing changes in case we break things. That's a situation so unacceptable that it's really never done. Instead, we work with version control, like Git. With Git, when we make changes, we commit them to a repository. 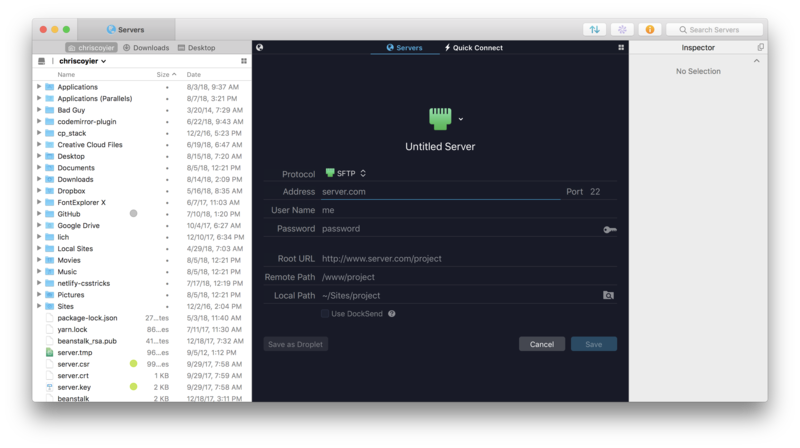 A repository can be hosted anywhere, even on your local machine. But to make them really useful, they are hosted on the internet somewhere everyone has access to. You've surely seen GitHub, which hosts these repositories and adds a bunch of other features like issue tracking. Similar are GitLab and Bitbucket. Now let's say you and me are working on that same site, but we've set up a Git repository for it. When I make a change, I commit it to the repository. If you want to make a change as well, you have to pull my changes down which merges them into your own copy of the code. Then you can push your changes up to the repository. Like anything, it gets more complicated, but that's the gist of it. But a Git repository isn't the live website. You're on your own for getting the files from a Git repository to a live site. Fortunately, that's a situation that everyone faces, so there are lots of options. Good thing your last question is about this! 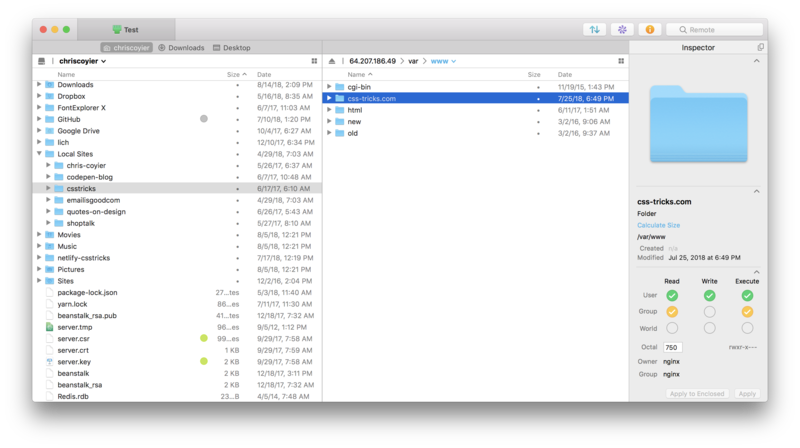 Your host will also tell you which folder is the "public root" of your website. The files there will be out on the public internet for the world to see! You might hear people refer to the "live" website as a "production" site. When someone asks something like, Did that bug make it to production?" they mean whether the bug is on the live website. "Development" is your local computer. You might also have a "Staging" site, which is a clone of the live website on the same hardware/software of the live site for testing. Remember earlier when we talked about Git repositories? While the repositories themselves don't directly help you get the files in them to your web server, most systems that help you with the local-to-live process work with your repositories. The phrase "local-to-live" refers to deployment. When you have changes that you want to go out to your production website, you deploy them. That's the process of moving your work from "development" to "production." Let's go back to our WordPress example. You've got it running locally (on your computer) just perfectly and now want to go live with it. You've bought a domain name from a registrar. You've purchased hosting that meets WordPress requirements. You've pointed the DNS of the domain name at the web host. Configure/Set up the live site as needed. For example, you'll need a database on the live site. You'll have to create that (your host will have instructions) and do things like run the WordPress installer and update configuration files. If you have things in your local database that you want to move to the live site, you might be exporting/importing things. That can happen at the raw MySQL level using WordPress' native import/export features, or a fancy plugin like WP DB Migrate Pro. It's a non-trivial amount of work! Sorry. This process is pretty similar for any site though. It's a matter of configuring and setting up your production web server exactly how it should be, then deploying files to it. Every site is a bit different, but you'll get the hang of this whole dance. It really is a big dance. I've only painted one picture for you here. I tried to pick one that was generic and broad enough that it shows the landscape of what needs to be done. But, at every step in this dance, there are different ways you can do things, different services you can pick, companies trying to help you at different pain points... it's an ever-changing world. Right now, Netlify is enjoying a lot of popularity because they are one of the only web hosts that actually helps you with deployment. They'll watch your Git repositories and do deployment for you! Netlify is for static sites only, but that can be a whole world onto itself. ZEIT also is massively innovative in how it helps with deploying and hosting web projects, including directly connecting with GitHub. I hope this was helpful. Remember, you aren't alone in all this. Zillions of other developers have done this before you and there is help to be found on the internet. That’s a great article Chris and useful to help explain these points to clients. I remember you extolling the virtues of Local by Flywheel as a WordPress development environment a while back. I tried it and now use it as it has all you need for development and it works really well. I don’t work for Flywheel, but was contacted recently by them regarding their hosting. Basically you can “deploy” your new site directly from Local by Flywheel to a production site on their servers. Haven’t tried this as I’m familiar with deploying a site, but if you’re going the WordPress route for a new site, it doesn’t get much simpler. Apart from hosting on wordpress.com, but I’ve had to move people’s sites from wordpress.com to self-hosted so many times because of the restrictions. What an excellent read with such a warm tone. I’ve done a few sites on my own bit still learned quite a bit from this article. Wish I would have had this a few years ago! I can also see these points being super helpful for clients who commission a site. 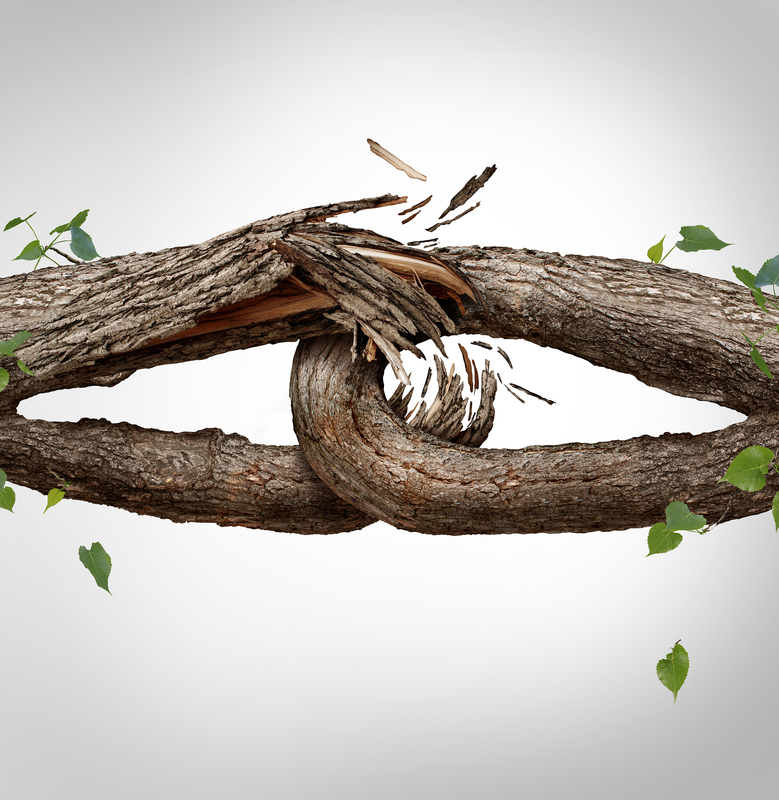 There are, of course, many clients who know what’s what, but there are plenty of situations where a clear outline of what’s being built and how those components fit together would be a benefit. For one, it takes some of the mystery out of the process and provides context for the value of the work being done. Thanks for sharing really helps me understand the idea. Wow, great article. I have years of experience, but it’s a constant learning process. After reading this, I can see how much progress I’ve made and still how much there is to learn. This is especially true in this era of js frameworks, it seems like there is always a new one I “should” be using! If I had to give advice to my younger self, it would be to learn more about the backend and security, even as a front-end developer. Always enable https, use very strong passwords, be wary of third-party plugins, and make sure updates happen. Just a note about this excellent article, please avoid GoDaddy because the CEO enjoy using your money to go to Elephant-Killing “Safari”. Hey Chris, awesome article, I felt like I’d learnt a fair bit since I contacted you first, but this just goes to show how the learning never ends, so much fantastic information here. I’ll definitely be bookmarking this one to pop back to at each step! I haven’t listened to that clip at the bottom but I can guess what it is, and this article reinforces that great advice. Time to dive in and.. Just. Build. Websites! Could you add platform.sh to the list of hosting companies? 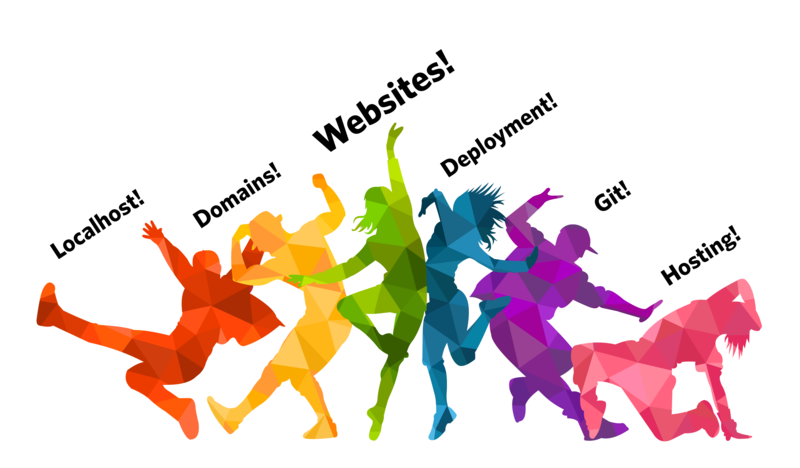 They also offer Git based workflow, automatic deployment and builds and support Node, PHP and more. I chose them in the first place because we needed a EU based service. With platform.sh you can choose from different server locations. so glad i found VVV. everything ran like a charm at first attempt. setting up a proper WP dev env sometimes is a nightmare. thanks a lot! Just Cool!!! excellent article today I Learn new things from this article Thank you!!! Maybe some more explanation can be given for the CMS-matter. In the beginning, Josh asked: “I’ve fully designed and coded a HTML/CSS/JS-site. How to get it live?”. One possibility is the example: “Just upload the files to a hosted server which is connected to your domain name”. Finished! Using a Contant Managment System is quite a different story. But a CSM is a SYSTEM, which add his own rules (conditions) to the straight forward HTML/CSS/JS. That means that the CMS-rules can introduce restictions to your design, can complicate your coding, or even can conflict with them. And different CMS’s (or different parts of a CMS, like a WordPress-theme) use different conditions! For instance: a WordPress-theme has his own CSS (layout, colors, fonts, etc.). Then you’ve to figure out which element styles are the same in your design, and which not; the doubles can be missed, the different/additional styles you have to put in a new CSS-file, and you need to know where to put the new file in the CMS-system, with the User Interface of the CMS.